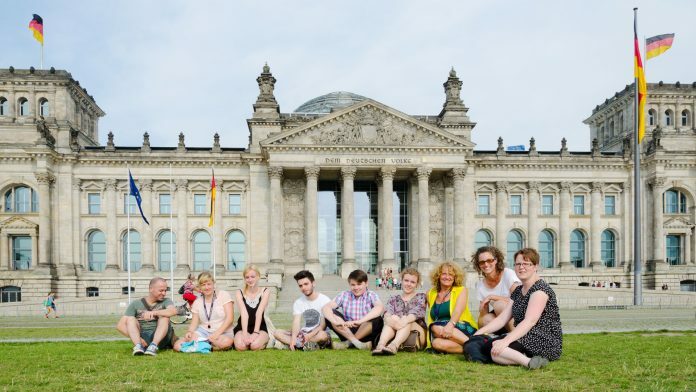 With its intensive German language programs and more than 40 years of teaching know-how, the Humboldt-Institut is one of Germany’s most experienced language schools for German as a foreign language. 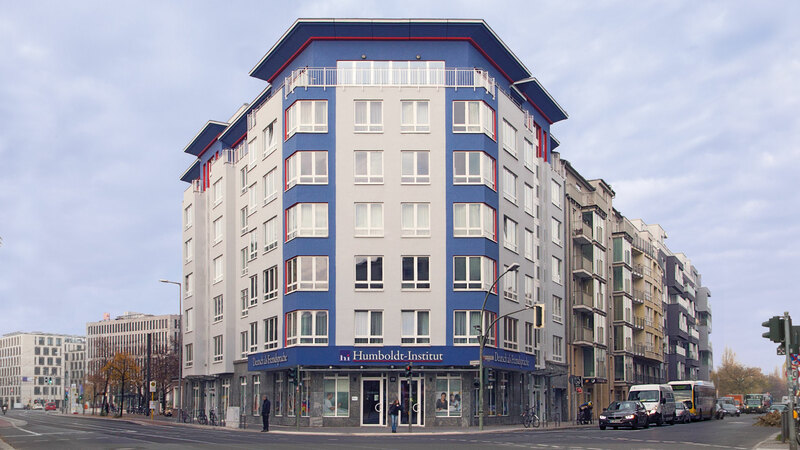 Founded in 1977, the Humboldt-Institut operates a network of schools for junior and adult students. The intensive German courses for adults offer a fast and target-orientated preparation for the TestDaF and telc Deutsch C1 Hochschule exams for students who which to study at a university in Germany. The Berlin campus, located in the central Mitte district, opened its doors in 2014 and offers modern and friendly classrooms, a language laboratory, a cafeteria and a rooftop terrace with a stunning view over Berlin. The focus at the Humboldt-Institut is a quick learning progression of its students. 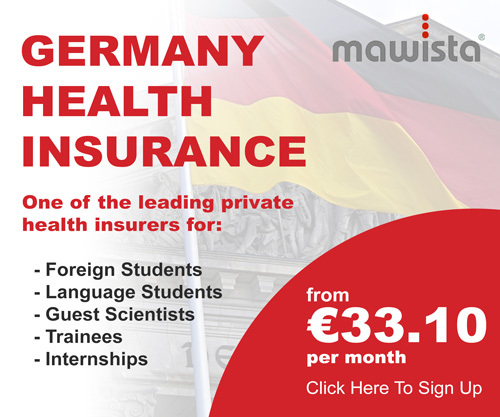 Hence the intensity of the German courses with 30 lessons per week is very high. Another factor that greatly influences a student’s success is the group size. At the Humboldt-Institut classes comprise approximately 10 students, often less. Thus, each student has more time to speak actively and learn under an intensive teacher focus. For students who already live in Berlin and lack the time for an intensive course, the Humboldt-Institut provides a variety of part-time German courses in the evening and on Saturdays. The Humboldt-Institut in Berlin hosts 48 student rooms on the upper floors of the school building. Students are housed in single, twin and a few triple rooms, all with en-suite bathrooms. All rooms feature modern furniture, TV, and Wi-Fi. Living on-campus offers many advantages: a short walk to class, ideal learning conditions, and a community experience. Students living on campus also benefit from the full board offer that comprises three meals a day as well as a selection of fruit. All meals are cooked fresh every day in the school’s own kitchen that provides a varied and healthy diet. 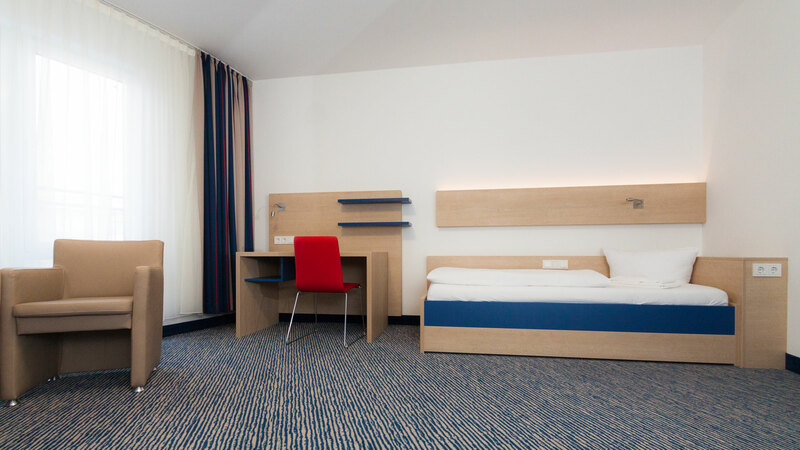 Another accommodation option are host families: In host families, students will stay in single or twin rooms. Students will have breakfast with their families and lunch at the school. All host families have been carefully selected. As Berlin is a big city, the time to commute between host family and the school may take up to one hour. Besides the lessons, students are encouraged to actively use their German among each other and during leisure activities. The school offers daily after-class activities such as city walks, bike tours, sports activities, concerts, movie nights, barbecues and many more. Weekly full-day excursions on Saturday offer students the chance to explore German cities such as Hamburg, Leipzig or Dresden as well as the many attractions in and around Berlin. The school’s central location in Berlin’s Mitte district and excellent transit connections from Nordbahnhof station put a large number of sights within easy reach. With more than 40 years of experience, the Humboldt-Institut is one of the most reputable schools for German as a foreign language. Small classes and intensive instruction ensure a swift learning progression. The full-immersion system additionally enhances the students’ mastery of German. Students who prefer a smaller city for their German language course may choose the Humboldt-Institut Constance in the very south of Germany or take a combination course with free transfer between the two cities. This short video presents the Humboldt-Institut’s German courses for adults in Berlin and Constance. Enjoy watching!